I could never figure out how to do Blanka’s electricity moves. If you missed it, the other day I put up a super long comic about why my Patreon is the best Patreon. Check it, yo! 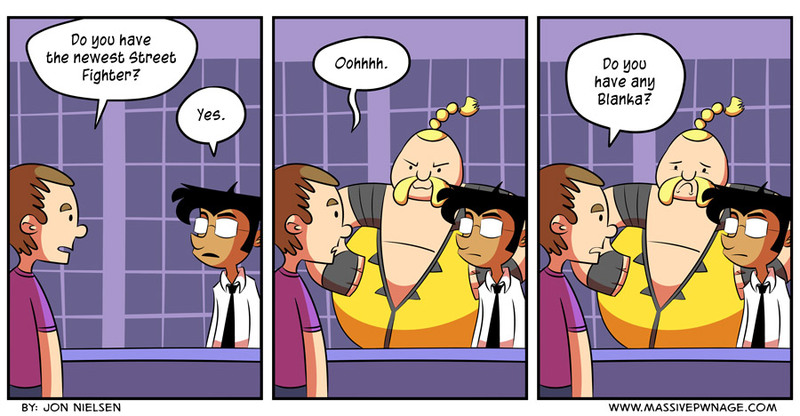 This entry was posted on Wednesday, June 18th, 2014 at 12:00 am and is filed under Comics. You can follow any responses to this entry through the RSS 2.0 feed. Both comments and pings are currently closed.